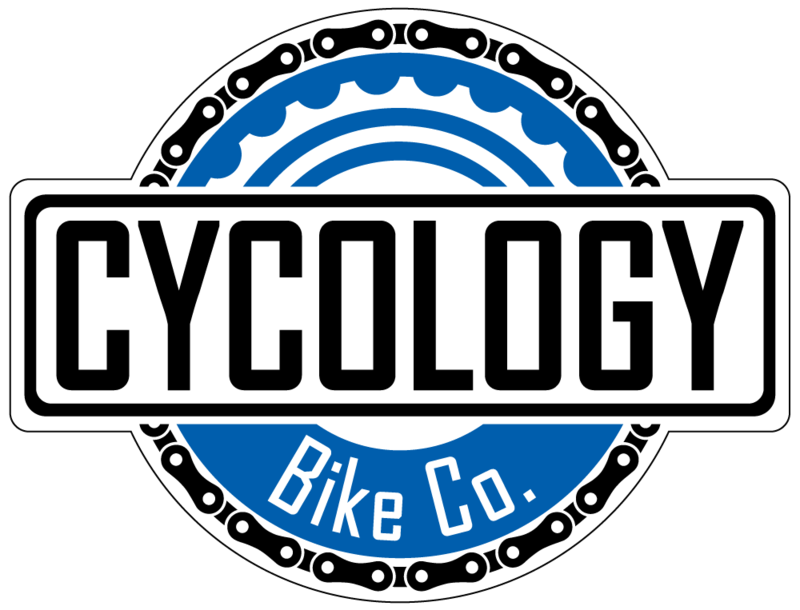 Road - Cycology Bicycle Co. Become the ultimate threat on every part of the course with a bit of help from Cannondale's SuperSix EVO. The SuperSix excels on the climb, in the wind, and in the pack thanks to its refined balance of aerodynamics, stiffness, and low weight. With a full carbon frame and unbridled racing geometry, you'll find your legs when you climb aboard this speedster. You'll love the incredible performance of Shimano's Dura-Ace drivetrain and brakes while the HollowGram carbon clinchers accelerate like mad beneath you. Cannondale's Ultralight components make a compelling cockpit for this machine, while a Fizik Arione saddle is supportive enough to handle all of your riding needs. Cannondale's SuperSix EVO Ultegra 4 is an apex predator that's hungry for victory. Narrow down and top tubes provide an aerodynamic advantage, while the lightweight Ballistec carbon maximizes strength and stiffness for explosive power transfer and increased efficiency. Pair that with dialed geometry, and the EVO is one of the quickest, most-responsive bikes you'll ever ride. The parts spec ups the ante even further, with fast Mavic Aksium wheels, a light, stiff Cannondale Hollowgram Si crankset, and Shimano's crisp Ultegra 11-speed drivetrain. Cannondale's own feathery aluminum components and a supportive Selle Royale saddle keep you in prime position. Cannondale's CAAD8 Tiagra 6 is the ride of choice, whether you're a seasoned roadie or heading out on your first group ride. Cannondale's mastery of aluminum frames is evident when you inspect the shaped, large-diameter tubes with their super thin-wall profiles. This creates an optimum blend of low weight and stiffness for awesome efficiency and incredible road feel. The Cannondale Ultra carbon fork offers precision steering and mutes road vibrations for a super-smooth ride. The quick-rolling Maddux wheelset with fast and grippy Schwalbe tires make the miles fly by. And, Shimano's Tiagra drivetrain features light action, easy shifting, and twenty hill-topping gears that make any climb easy. Cannondale dual-pivot brakes provide sure-fire stopping power, and a stem, bar, seatpost and seat from Cannondale ensure that rider comfort and ergonomics stay high. The savvy pro-alloy rider knows: "carbon" doesn't always mean "better". Cannondale's CAAD12 is a beast on the crit course, and a lifelong companion on the road. The super smooth-riding Smartformed C1 6909 frame rivals many carbon frames for its stiff, light construction and ride quality, and the dialed-in rider geometry puts you in complete control. The Shimano Ultegra drivetrain and hydraulic disc brakes will give you precise shifting and braking performance even in tricky conditions, and Mavic Aksium Disc WTS rims are fast-rolling, smooth, and lightweight. Cannondale's own aluminum components make up the cockpit, and a supportive Fizik saddle is primed for long days in the saddle. A lightning rod in a world of synthetic fibers, the CAAD12 Disc Dura-Ace demands attention. Flow-modeled SmartFormed Aluminum tubes yield lower weights, radical compliance, and unparalleled stiffness in CAAD12's frame, and race-inspired geometry won't shy away from contesting the sprint. Race-worthy wheels and tires from Mavic roll quick through the toughest courses. Shimano's crown jewel, the 11-speed Dura-Ace group, shifts wicked quick, and is a true-blue gram-killer, and Shimano's hydraulic disc brakes provide smooth stopping power when the need arises. High-quality handlebars and stem come straight from Cannondale, and Fizik has comfort locked down with the Arione saddle. New riders, fitness enthusiasts, motivated weekend adventurers, and aspiring Gran Fondo riders will all find a home aboard Cannondale's Synapse 105. This lightweight, aluminum women's bike features Cannondale's Endurance Geometry for stable, confident handling and a more upright riding position for all-day comfort. The SAVE carbon fork further reduces weight and decreasing road buzz. A capable Shimano 105 drivetrain gives you the range to conquer mountains, the Tektro brakes keep you in control, and lightweight aluminum wheels provide plenty of zip. Cannondale's own women's specific handlebar, stem, and saddle make finding your ideal position easier than ever, and they're stiff and lightweight, to boot. Become the ultimate threat on every part of the course with Cannondale's SuperSix EVO. The SuperSix excels on the climb, in the wind, and in the pack thanks to its refined balance of aerodynamics, stiffness, and low weight. With a BallisTec Hi-MOD Carbon frame and unbridled racing geometry, you'll find your legs when you climb aboard this speedster. You'll love the incredible performance of Shimano's Dura-Ace drivetrain and hydraulic disc brakes while the HollowGram carbon clinchers accelerate like mad beneath you. Cannondale's Ultralight components make a compelling cockpit for this machine, while a Fizik Antares saddle is supportive enough to handle all of your riding needs. Cannondale's Synapse Carbon 105 simply begs for high-mileage fun. Synapse Endurance Race Geometry appeals to Gran Fondo specialists, high-mileage devotees, and riders who love the thought of a long, winding road. BallisTec carbon transfers power smoothly and damps road vibration. Once you get a taste of Shimano's 22-speed 105 drivetrain transferring all your power to the road smoothly and easily, you'll be searching out hills to climb. Mavic's Aksium wheels are the perfect pairing for this endurance machine, with climb-boosting low weight, and sprint-enhancing acceleration. Matched with high-quality Schwalbe tires, you're primed to pin every corner on your favorite road loop. Plus, Shimano's 105 brakes have power to spare. Throw in a sleek, supportive Cannondale saddle and a batch of their own prime components and you've got a hard bike to beat. With fit and performance like this, don't be surprised if you find yourself taking the long road home on your next ride. Redefine what a road ride looks like on Cannondale's Slate Ultegra. Cannondale's unrivaled SmartFormed aluminum is lightweight, sports puma-like responsiveness, and—thanks to SAVE Plus micro-suspension and slack angles—handles a host of surfaces with panache. A Lefty Oliver fork breaks all the road bike rules, adding 30mm of ride-anywhere suspension to your rig. Press the norm a little further with 650B Slate Disc wheels and fat, 42mm-wide Slate tireswhich give you the same rolling diameter of a traditional road wheel while providing all the plush, comfortable, and grippy benefits of a high volume tire. Throw the Shimano R685 levers to effortlessly engage the 11-speed Ultegra drivetrain, or apply the smooth, powerful Shimano hydraulic disc brakes to scrub some speed. You'll love the weight savings from Cannondale's own handlebars and stem, and a Fabric Scoop saddle provides compliance and support for the long haul. So, forget old ideas of what a bike should be—the Slate will wipe them all away.